GlobalData's latest renewable policy report includes major policy developments in the renewable energy market for the month August, 2010. This includes updates in policies in China and the US. the total renewable power capacity of China. 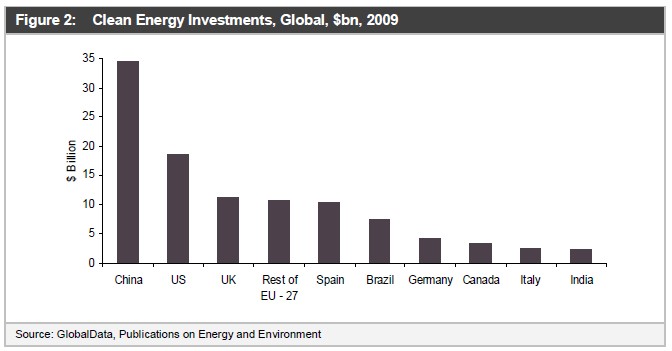 In 2009, China led investments in clean energy globally, thereby shifting the US to the second position. availability of project finance are the major drivers for investments in the Chinese clean energy market. 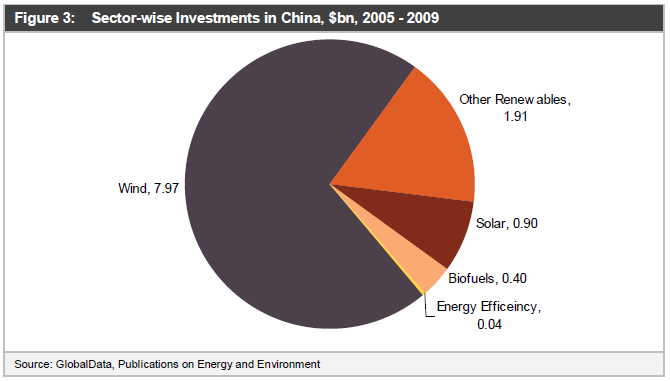 total clean energy investments in 2009, asset financing accounted for 86% in China. scenario, China led the global clean energy public financing market with $4.6 billion investments in 2009. 2009 to support investments in manufacturing facilities. 102 MW project came online in 2009 operated by the Chinese wind turbine manufacturer, Sinovel. country’s offshore wind potential are the major drivers for the growth of China’s wind power market. from 30 GW to 150 GW in China. to withstand competition by international players. various credits that can be availed through the bill. Allow 30% non-business energy property tax credit for the installation of energy storage equipment in a principal residence. technologies for homes and businesses. The proposed law covers three broad categories of storage. 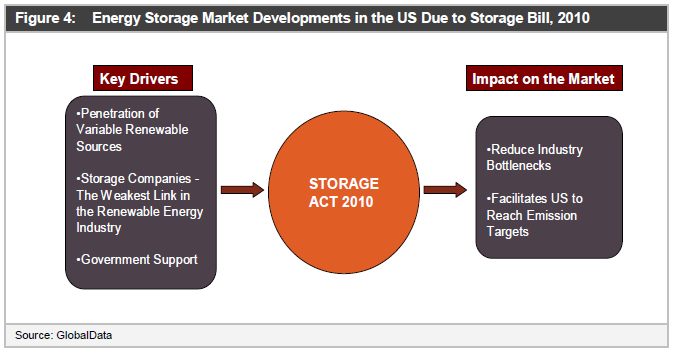 The Storage Bill 2010 provides investment tax credits for the actual deployment of storage systems. streams continues to be a major barrier. avoiding or deferring distribution and transmission system upgrades and expansion of the grid.